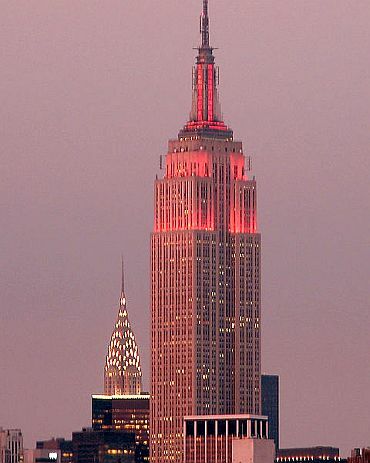 Rediff.com » News » Empire State building faces a new threat! Empire State building faces a new threat! The Empire State building, which stands tallest in New York -- the city of skyscrapers, is now facing a threat of being overshadowed by a proposed new tower just a stone throw away from the landmark. 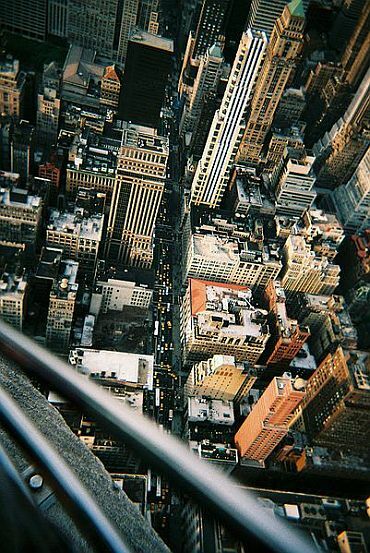 A 1,216-foot-high tower looks to challenge the iconic status of 1,250-foot-high Empire State. 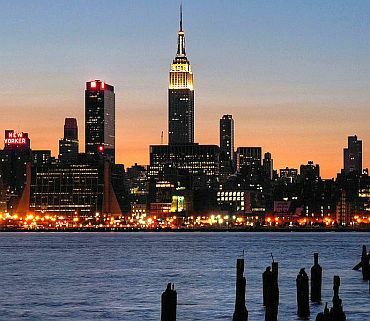 A change to the iconic New York skyline looks inevitable if the proposed construction of the tower not stopped, owner of the Empire State building feared as he requested the NYC authorities cease the creation of another skyscraper nearby. The owners of both buildings have presented their case to the City Council. The New York Post reported that Empire State building's owner Anthony Malkin's refusal to light up the top of the building for Mother Teresa also brought about certain coolness in the talks between him and the Council members. Thursday marks what would be the 100th birthday of Mother Teresa and the Empire State Building has rejected requests to light up the building in blue and white to mark the occasion. Malkin, who claims he is sticking to a policy of not honouring religious or political figures, shrugged off the suggestion that his Mother Teresa refusal could hurt his chances of getting the council on his side. Malkin has argued that the new building of Vornado Realty Trust should be reduced by 825 feet. "It's all about the iconography of the New York skyline and whether it matters to people or not," as Malkin quoted by The New York Times. At the hearing on Monday, Malkin produced a poll that he had commissioned, which showed two-third of the respondents felt the new 15 Penn Plaza at its proposed height should be rejected, NYT reported. In the reply, David R Greenbaum, president of NY division of Vornado Realty Trust, retorted: "The fact is that New York's skyline has never stopped changing, and one hopes it never will." 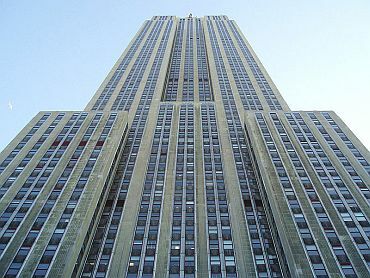 A 1931 structure, the 102-storey Empire State was forced to second position when the 9/11 target World Trade Centre was constructed in 1972. The building will again have to settle for Number 2 once the new 1,776-foot WTC gets erected. "Is New York City, a snapshot taken in 2010 to be held in perpetuity, or is New York City an evolving, dynamic entity," asked Councilman Leroy Comrie at the meeting on Monday. The council-members will now deliberate on whether to allow the Vornado building from going up so close to one of the world's most internationally-recognised buildings. They are expected to vote on Wednesday. "The question here is: How close is too close to one of New York's iconic landmarks," Councilman Daniel R Garodnick said after a hearing. "Is this going to swallow up the Empire State Building or are we just talking about another big building a couple of avenues away?" The New York Post reported that Malkin's refusal to light up the top of the building for Mother Teresa also brought about certain coolness in the talks between him and the Council members. "Immediately, I said to myself, when I was sitting there, this is Mr Malkin who is refusing to light up for Mother Teresa," said Councilman James Vacca, who sits on the subcommittee. "His refusal to light up for Mother Teresa is wrong, but I will consider his testimony on the merits," he added.